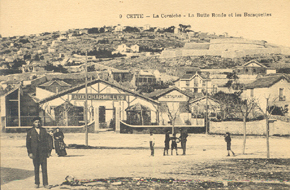 A brief history of Sète. The first traces of human life found in Sète date back to the Late Bronze Ages II and III. Today, these vestiges, discovered in 1973, lie beneath the surface of the Thau Lagoon, just off shore from the district called the "Barrou". The first cartographical traces of this habitat did not appear until the 18th century. We know that the zone was still habited after the Roman conquest of Southern Gaul and during the Roman Empire. As a commercial stopover for Mediterranean civilizations such as Sicily, Italy and Greece, Sète and its mountain served as a geographical point of reference. 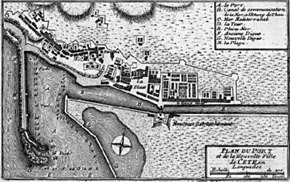 A harbour of refuge for sailors since antiquity, the area that will become Sète was a very popular site until the construction of the port and the town in the 17th century. Up until the end of the 17th century, the mountain was quite sparsely populated, even deserted. Its only visitors were the fishermen from neighbouring villageswho came to fish the banks of the Thau Lagoon. The Mountain, now called Mont St. Clair, also served as a hide-out for privateers and pirates, the most famous of which was Barberoussette. It became apparent that the construction of a new port was vital for both economic and military reasons. If the Languedoc wanted to export its products, it would need a commercial port. On July 23rd 1596, the King of France Henri IV gave his official approval to the project, but for various reasons, this project never came through. However, when King Louis XIV came to power, the project re-appeared. Under the initiative of Colbert, the King’s Minister, the construction was underway. On July 29th 1666, the construction of a jetty and the digging of the beach joining the Sea and the Lagoon began. 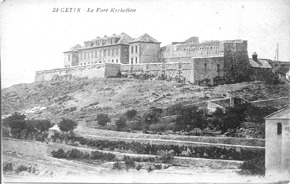 This date is now considered as the official date for the founding of Sète. The first stones were put into place on what would become the first breakwater, which would be lengthened in the 18th century. The people from neighbouring villages: Bouzigues, Mèze, Frontignan and Marseillan, now came to work in Sète. Little by little, town life began to organize itself around the essentials of life with the creation of several shops and the town of Sète was born. In the 18th century, small cabins, built out of dry stone, called “baraquettes” were gradually built on the mountain. Traditionally, on Sundays, families would climb the mountain to spend the day in the country at the "baraquette". Over the years, the baraquette became a real institution, with its rituals and traditions becoming part of family life for Sète's people.